This 21- chord OS21C autoharp plays in eleven different keys. The patented chord bar configuration makes it easy to learn and to continue to play for years to come. This is one of our most popular models. "The Oscar Schmidt OS21C 21 chord autoharp is the beginner’s choice of autoharps. With its beautiful sunburst finish and its low cost, it's no wonder that this is one of our best selling autoharps. The body of this attractive autoharp is constructed from maple and has a glossy finish. The glossy finish of this autoharp will give is a slightly muted sound. There is a frame of rock maple along the edge the instrument as well as a 10 ply pin board. This strong pin board will make sure that the pegs will not gradually turn and will keep your strings in place. 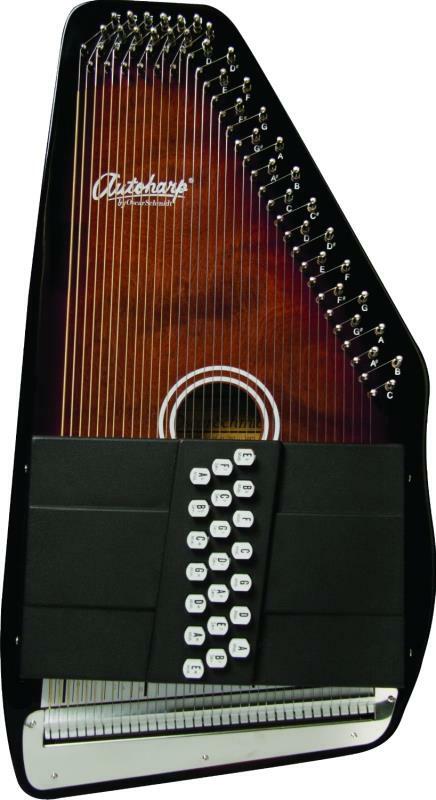 The sound cavity of this autoharp is large and will give you a great tone. A couple of improvements to the Oscar Schmidt line of autoharps has been the addition of thicker felt padding to the chord bars and the addition of foam padding to the underside of the chord bar cover. This helps prevent the keys from becoming stuck underneath the cover and dampening any unwanted noise from the chord bars. Currently at the Autoharpstore.com we are including a 50% off gig bag with the purchase of any Oscar Schmidt Autoharp purchase. You can also choose from a instant $30 rebate off the purchase of either a semi-hard shell case or hard shell case. In addition to the 1/2 off gig back, we will include a free tuner with your purchase of a autoharp. There is also the option for a discounted digital tuner that has a built in metronome and tone generator. We also offer $20 flat rate shipping in the continental US for any autoharp. Autoharpstore.com is the premier online retailer of autoharps and autoharp accessories. We have technical support Monday through Friday from 9 am to 7 pm and Saturday from 9 am to 5 pm eastern time. You can reach us by phone, live chat, or by e-mail. Please feel free to contact us with any question you may have." This 'harp was designed with the player in mind. The Sunburst satin finish gives the OS21C a very attractive look with a classic touch. The body is made with select maple wood, designed for strength and optimal support. It is a very light-colored hardwood with a very even grain texture. 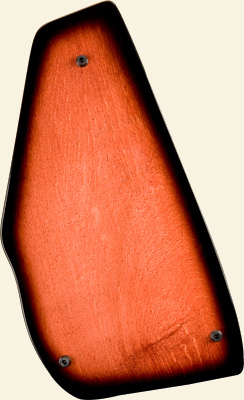 The pin blocks in many of the finest autoharps consist of hard rock maple for extra strength. The pin blocks are laminated rock maple pin blocks meaning they are specially coated for extra strength. 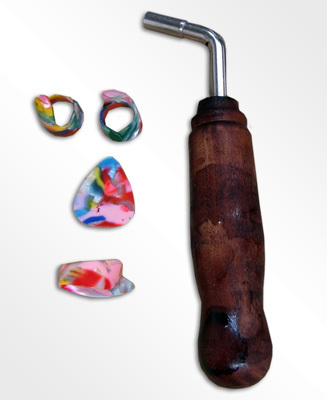 The purpose of the pin block is to firmly hold the tuning pins in place where the strings are attached. The added strength of the laminated rock maple ensures that everything will stay in the right place.